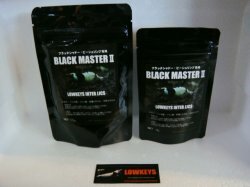 Black Master is the additive for soil included 74 kinds of organic minerals. It works for rising the survival rate of baby shrimps greatly. Adding it to the old soil is effective.